Leadership — More Than Just Feed Inc.
Our Leadership team is comprised of individuals who embody our commitments to our brands’ customers and take great pride in helping the More Than Just Feed team. They help our teams navigate the day to day operations and enrich and uplift the brands we support. Customer service and the drive to keep customers happy is something that Jeff has always had a passion for. Jeff earned both his B.Sc. and MBA in Agriculture and has been working in the industry since 1991. Jeff co-founded Nutrisource in 2005 and has built strong foundational values and strategies, that continues to make all businesses that are a part of the More Than Just Feed family, effective open book partners who care. As President and CEO, Jeff feels fortunate to be part of a great team and enjoys being involved in something important; helping farmers feed people. Outside of work, Jeff enjoys spending time with his wife and four kids and fitting in as much golf and skiing as possible. Jeff has devoted his career to working hard for the customer. He earned his Bachelor of Animal Science from the University of Guelph and has been dedicated to the agriculture industry his entire life. Jeff co-founded Nutrisource in 2005 and has been instrumental in driving the customer experience ever since. His passion to maintain a dedicated customer focus is strengthened by his belief and commitment in our core values. As Chief Operation Officer, Jeff enjoys working with his team to synergize and optimize the end result for each customer. In his time off, Jeff enjoys spending family time with his wife and two kids and being outdoors as much as possible. Max is a Queen’s University MBA graduate with over 30 years of industry experience. Max is passionate about always keeping every process as simple and seamless as possible and is constantly challenging himself to find the newest and most effective technologies. In his time outside of work, Max enjoys spending time with his family. Aaron has spent his entire career in the Agriculture industry with a focus on exceptional customer service. In his role as Chief Financial Officer, Aaron enjoys the high-level services that we offer our customers and the camaraderie within the More Than Just Feed family. Aaron has a passion for learning and enjoys challenging himself to experience things from all perspectives to help him achieve a well-rounded approach. Outside of work, Aaron enjoys travelling the world and immersing himself in different cultures. Mark spends his time at More Than Just Feed ensuring production processes are streamlined, efficient and high quality. Over the last 10 years, Mark has enjoyed watching the company flourish and is passionate about helping farmers feed people. 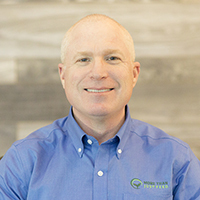 Mark has over 25 years of experience in the agriculture and feed industry and has worked in several roles within the industry which has made him the optimal person for his role as Vice President of Operations. During his time off, Mark is highly involved in hockey and in the community. He enjoys watching his daughter play hockey and manages her team. Mark enjoys being very hands on at More Than Just Feed. 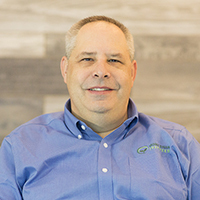 Whether it’s on-farm providing technical expertise or mentoring his employees, Mark is always focused on what is best for our customers and his team. Mark earned his Masters in Dairy Science from the University of Illinois and furthered his passion of learning by earning his PhD in Animal Nutrition-Ruminant. Mark has over 25 years experience in the industry and is continually looking for ways to our contributions to our customers. During his time off work, Mark enjoys reading about technical management and learning techniques. He also loves being involved in his kids’ sports activities and planning white water rafting trips around North America. Andrew truly has a passion for the Agriculture industry. He has 37 years of experience in the Animal feed business with involvement in production, maintenance, management, procurement, logistics, and pricing. Â Andrew enjoys working with the people at More Than Just Feed and likes the personal and professional goals that he develops here daily. Andrew likes to spend his time outside of work with his kids and enjoys watching them play sports or participating with them in skiing and golf.